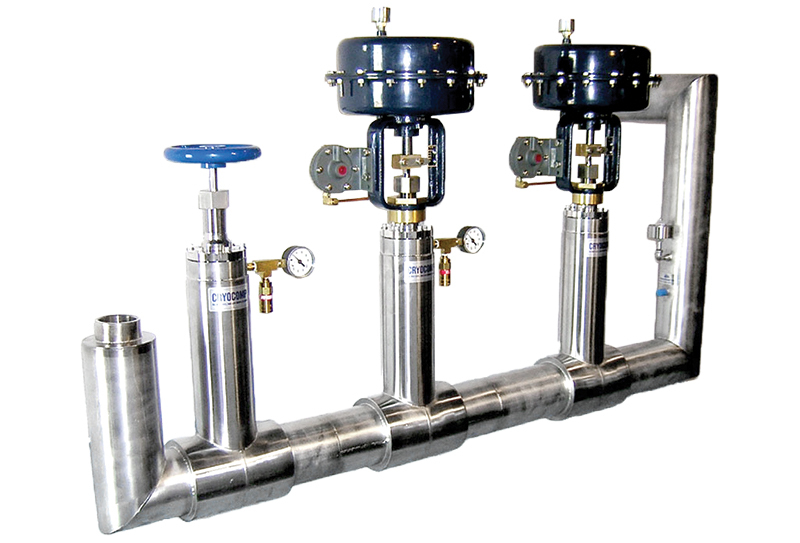 Custom cryogenic manifolds supplied by Cryocomp valves incorporate our expertise in valves with the parent-company Cryofab Inc., experience in vacuum jacketed pipe design and fabrication. 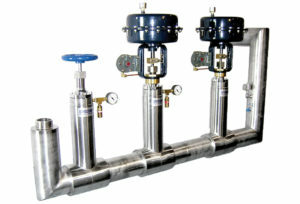 Manifolds are provided to customer requirements with inner line sizes from 1/2” to 3.0” pipe for cryogenic liquids including nitrogen, argon, oxygen, hydrogen and helium service. 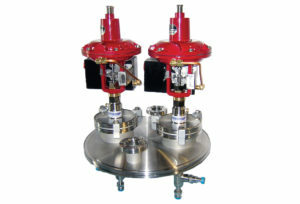 Each manifold is fully pressure tested, mass spec leak tested and all valves functionally tested before shipment. 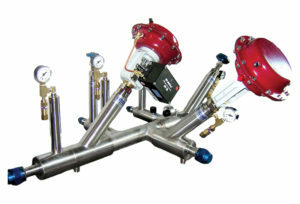 The Cryocomp manifold assemblies have radiation shielding and getters to assure high thermal efficiency and a long vacuum life. Dependent upon customer requirements, any number of manual or actuated valves may be incorporated into the manifold design. 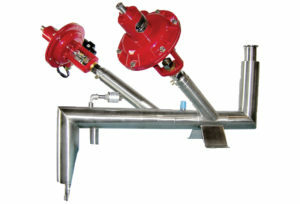 Additionally, tees, elbows and other parts and assemblies that fit pipe to the manifolds may be included along with necessary expansion joints, flexible connectors and instrumentation.